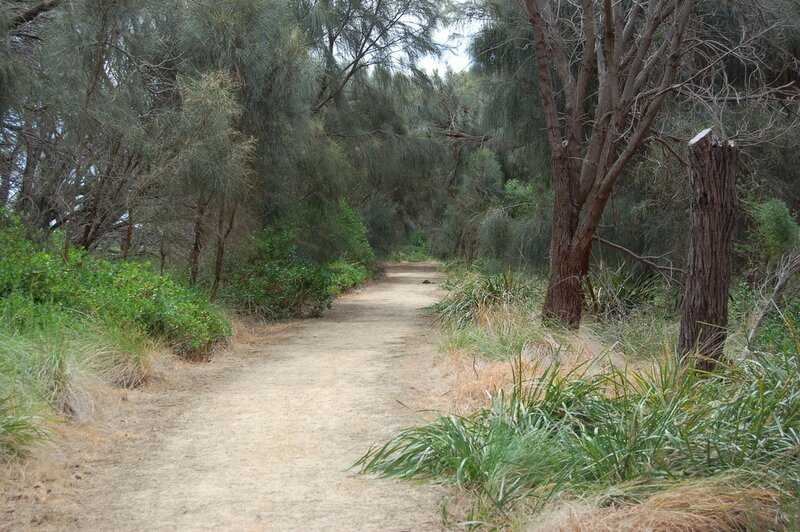 The Corinella Foreshore Reserve is an area of coastal Crown Land that covers about 30 hectares encircling the township of Corinella. 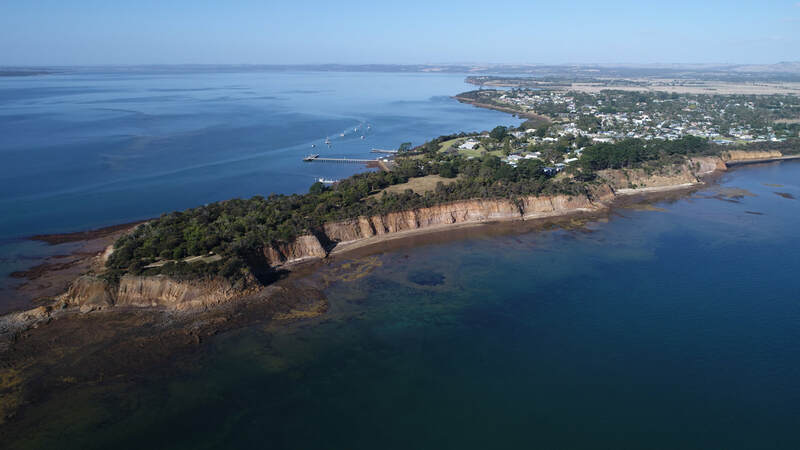 ​It comprises a diversity of native vegetation and coastal cliffs, and includes facilities such as a caravan park, boat ramp, jetty, and BBQ/picnic areas. The Reserve is divided into precincts for management purposes. The Corinella Rotunda is located across the road from the Caravan Park, on the corner of Peters Street and The Esplanade. It is on the hill above the boat ramp and jetty area. 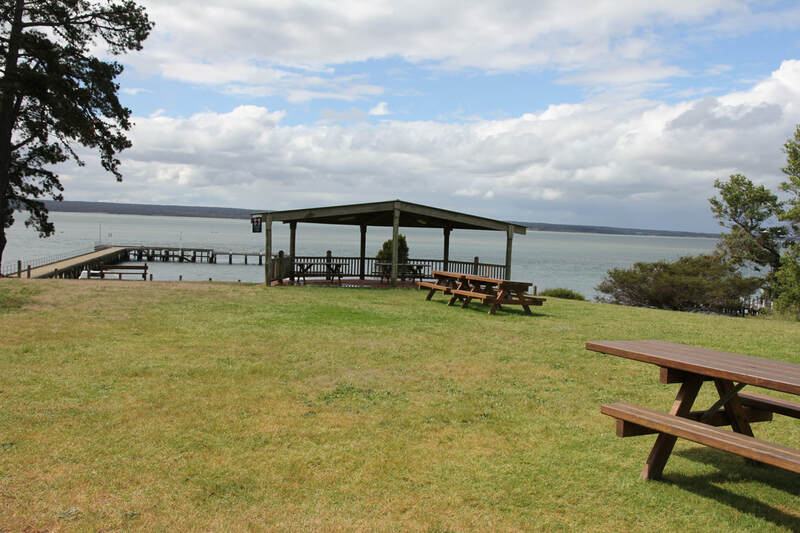 A landmark in Corinella, the Rotunda is a sheltered spot to enjoy the stunning views out over Westernport to French Island and along the coast to Settlement Point in the west, and across to Pioneer Bay to the east. ​Boats on the moorings are visible as is the action at the boat ramp. Bring a picnic or use the public BBQ's. 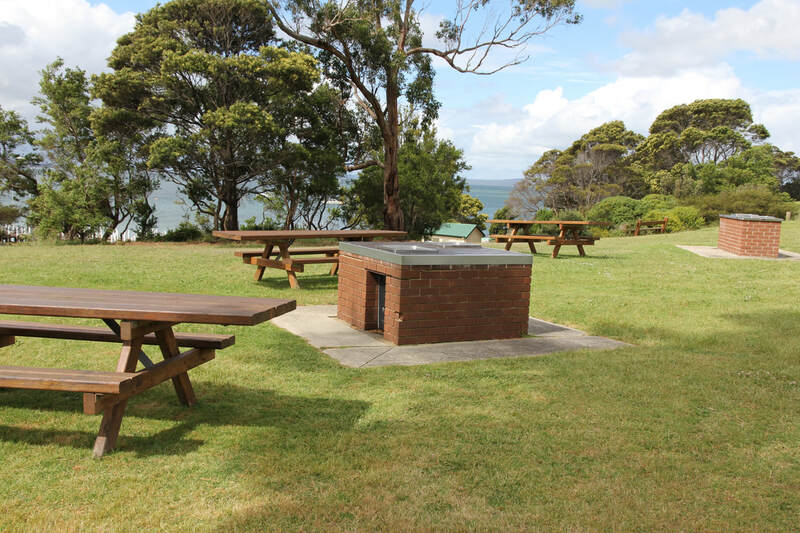 BBQ facilities (3 twin BBQ's) can be found in front of the Rotunda opposite the Caravan Park. Shelter is via the Rotunda. There is room for children to run around and play, and you can stroll along the Esplanade and enjoy the water views across the bay to French Island. A sheltered BBQ can be found at the other end of the Caravan Park, at the end of Smythe Street. The Rotunda has stunning views of Westernport towards French Island. Two of the BBQ's, with picnic tables close by. Public Toilets can be found on Peters Street opposite The Esplanade, next to the Caravan Park (up the hill from the ramp area). 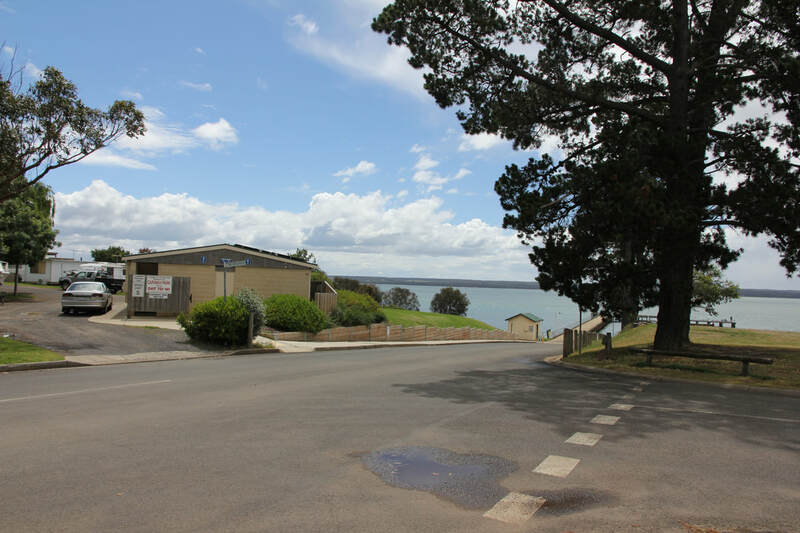 Public Toilets are on Peters Street near the Caravan Park, Boat Ramp and Rotunda BBQ area. 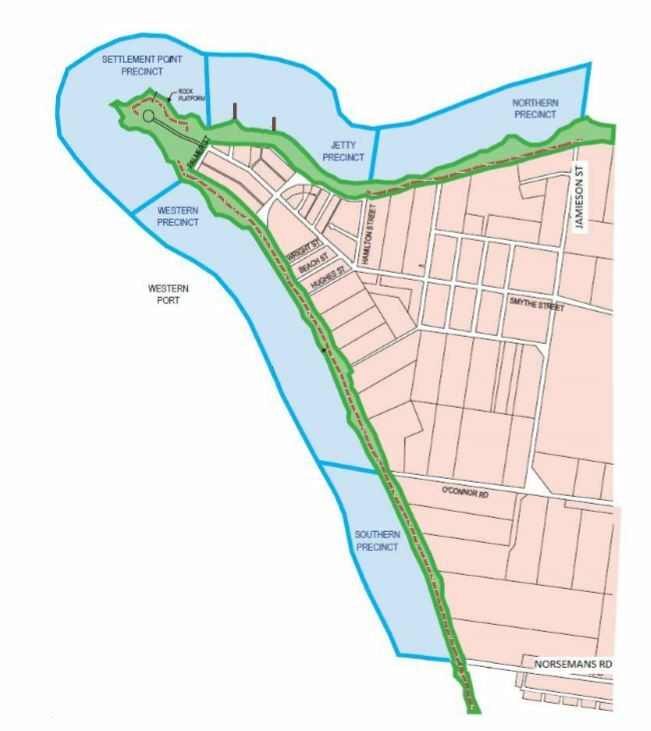 The Reserve has over 5kms of walking tracks running along the shoreline from the north around to Settlement Point in the west, and then down to the South. It's possible to walk all the way to Coronet Bay. 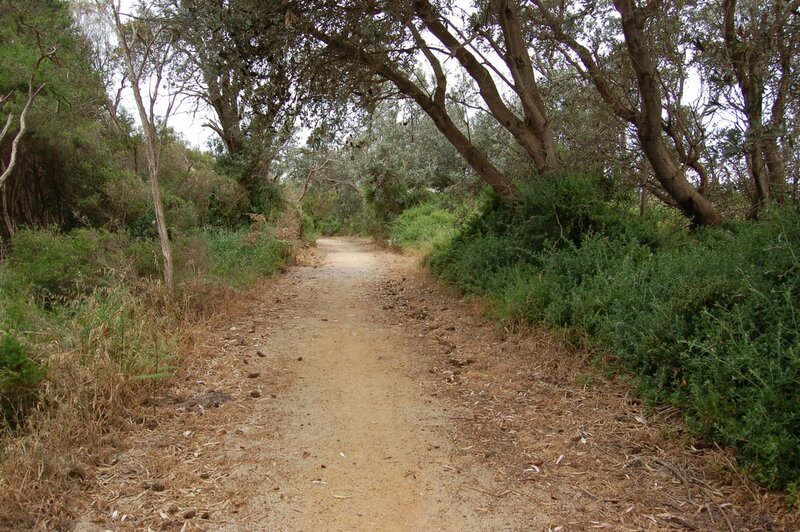 The walking tracks are an ideal way to experience the stunning seascape, varying landscape, and beautiful natural flora and fauna of the area. Tracks are unpaved but hard ground. The majority of the tracks are flat so accessible by wheel-chair or people with limited mobility. Access down to the beach is via stairs only. The beach varies from mangroves and mud flats through to rocky platforms, from shallow rocky pools to sandy and shelly beach (see Precincts map below right). Northern precinct- shelley & sandy beach turning to mud flat, accessed from Balcombe St, French Island Close and Jamieson Street. See the many black swans which nest in the area. Westernport is designated as a RAMSAR wetland of international importance. Jetty Precinct - Limited beach access, beach is sand and rock through to the mangroves to the east, and rock platforms to the west. Settlement Point Precinct - Rocky platform below the cliffs, accessible from the barge landing area and Jetty precinct. Walking track leads to a look-out platform for views of French Island and Phillip Island, and the rock platforms below the cliffs. Western precinct - Beach below the cliffs is sandy and shelly with rocky pools and rocks along the beach. Accessible only via the stairs at the end of Beach Street, and at O'Connor Road. Check the tides as parts of the beach are under water during high tides. Southern Precinct - Accessible at the end of Norsemans Road. Sandy swimming beach. The Reserve is home to many species of birds and animals. To protect our wildlife, dogs are required to be on-lead at all times unless in a designated off-leash area. Along the beach between O'Connor Road up to approximately 90 meters south of Beach Street stairs. Coronet Bay south of Norsemans Road towards the Coronet Bay township. Please check signage on the beach for details.